Congratulations on the birth of a child!! 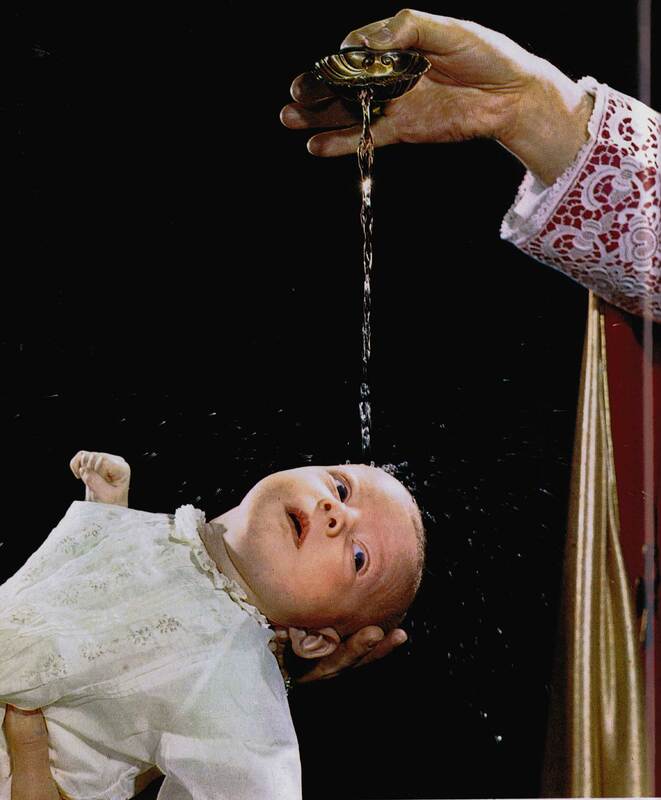 Now you need to plan your child’s upcoming baptism! Our Baptism Prep Class meets in the parish center the first Sunday of the month in the CALCUTTA room in the Parish Center at NOON! If that day falls on a holiday you might want to call the parish office to confirm. Baptism is a once‐in‐a‐lifetime event. It is a time of birth, the moment of new life, a beginning of a destiny that can only be fulfilled in eternity. The day of your child’s Baptism is a day of hope, a day of promise, and a day of joy. It is a day of joy, not only for you and your family, but for the entire Christian community. Through Baptism your child begins to share the life of Christ with all other Christians.